Another situation that requires some real calm is, of course, the weather. The wedding day of Emily and Jk in St. Louis (6 June 2008) included scary-looking clouds, lots and lots of rain and even tornado sirens. But, Emily, Jk and their families took everything in stride. And while it rained during the ceremony and during the reception, there was a break in the weather while everyone traveled from one place to the other. 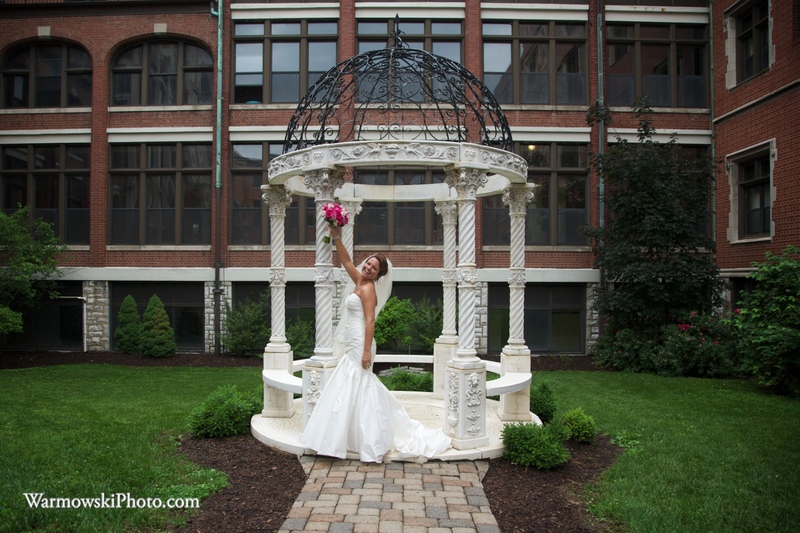 During that break, Emily and I took, literally, 30 seconds to photograph near the gazebo that stands right outside the chapel. Of course, she wanted many more photos there, but the weather and time were not on our side. Looking at the windows behind the maid of honor as she gave her speech, and you will see that the rain was not a drizzle. 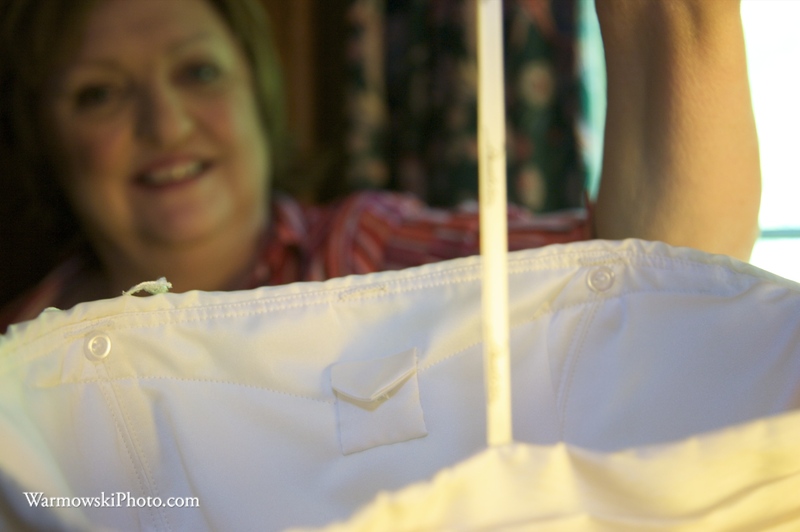 Lisa and David (31 May 2008) had many special touches at their outdoor wedding in Pere Marquette State Park near St. Louis. 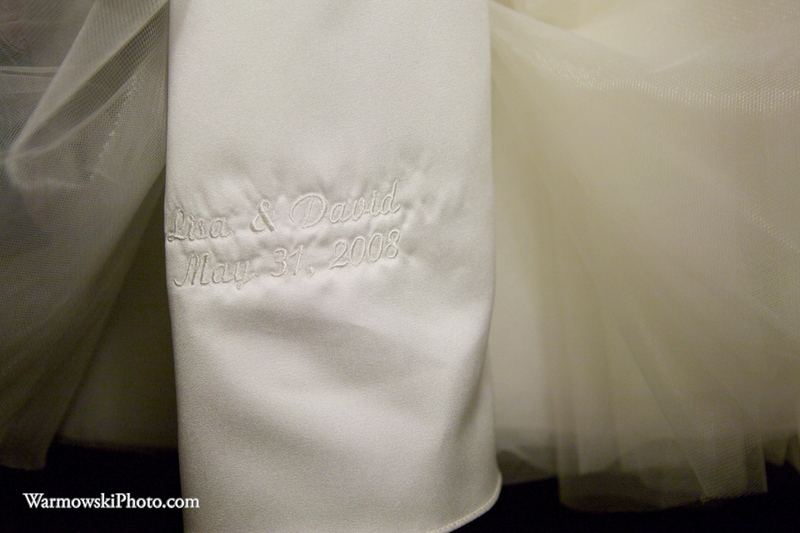 Lisa did two things to personalize her dress to the day. 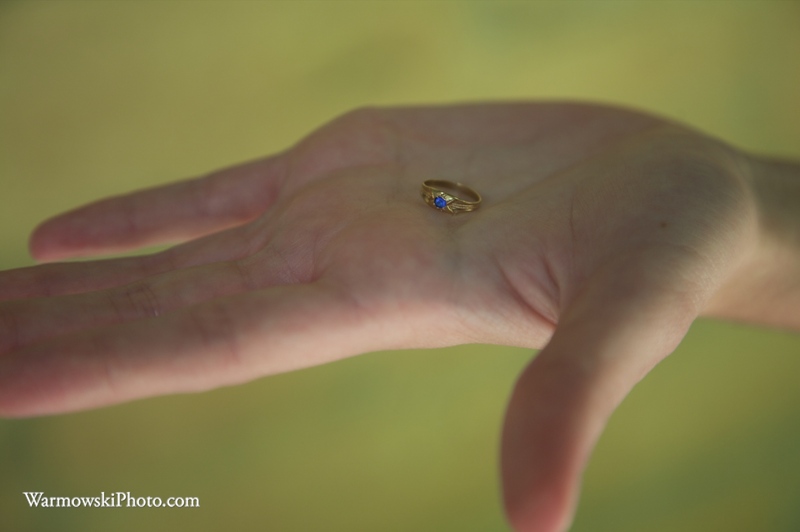 First, she had a small pocket sewn into her dress, near her heart, where a special ring (with a blue stone – something blue) was placed. Second, she had their names and wedding date embroidered in white onto the white satin under the layers of tulle on her dress. 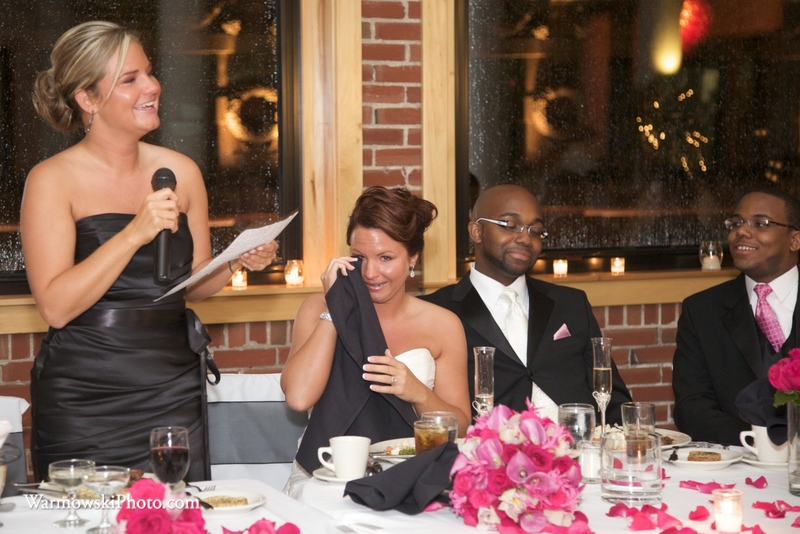 There is nothing I admire more than the bride keeping her calm when something (relatively minor) goes wrong. Lisa and Jobby (17 May 2008) chose to laugh along with their bridal party when the reception hall’s marquee had the groom’s last name misspelled. It was a digital, scrolling marquee, so every time it scrolled to “congratulations …” there was another round of laughter – and photos. 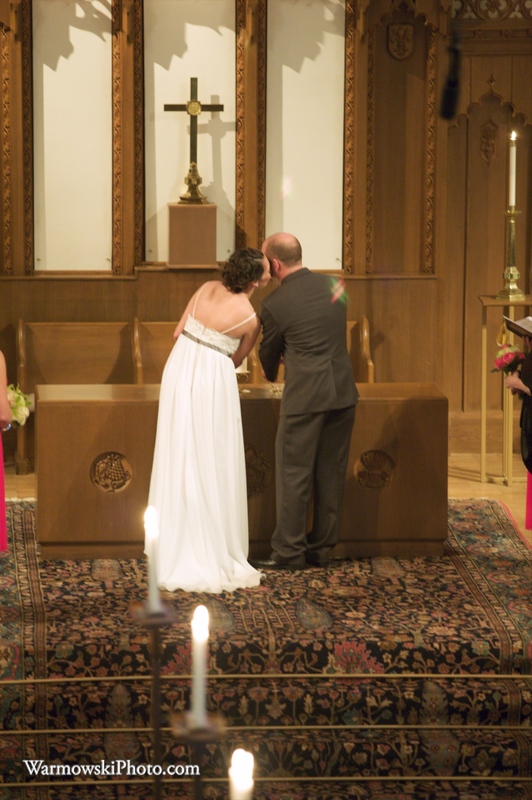 There are a couple of ways I’ve seen unity candle ceremonies done, and I wanted to share them. One of the first things to figure out is whether or not you have your backs to your friends and family. (below) For Alison and Chris (3 March 2007), the decision was simple. 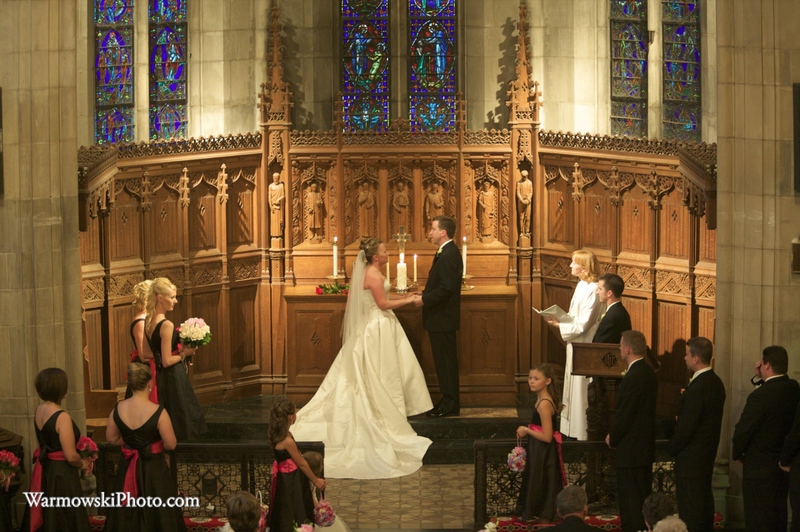 The chapel was very intimate and it was much easier for Alison (and her dress!) for them to light the unity candle from the front. 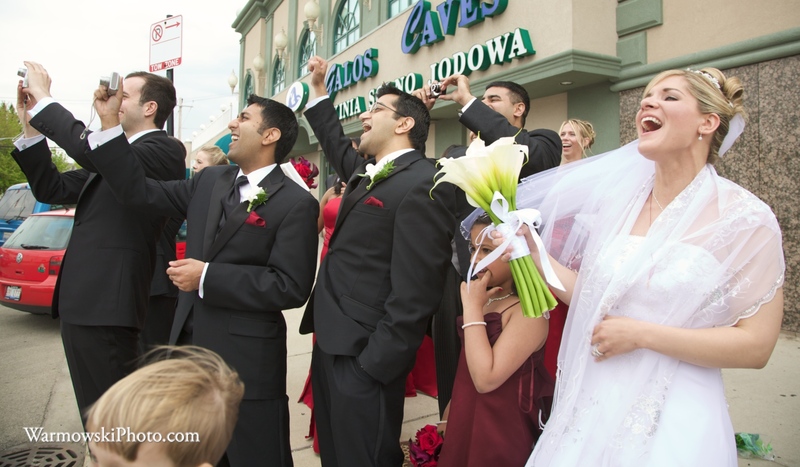 Be sure to keep in mind the space available to you as well as your wedding-day attire. Another thing that Alison and Chris did that worked with their limited ability to move around a lot, was the placement of the candle. 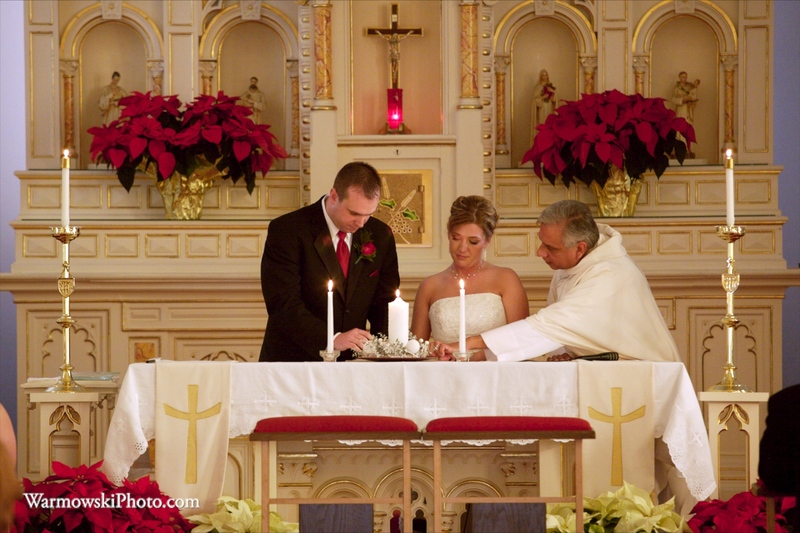 Alison and Chris had their unity candle set off to the side, instead of in the center of the alter behind the pastor. (below) Alicia and Matt (29 December 2007) lit their unity candle and also signed their wedding certificate while facing their friends and relatives. The bride may need some help from the groom in this situation, depending on the length of her train. (below) Jaimee and Ken (21 June 2008) had their unity candle on the alter and there wasn’t the option of going behind. The alter area didn’t really accommodate having the unity candle elsewhere. -if you are planning to have music during the lighting, and you don’t plan to have any other activities during the song (such as giving roses to parents, etc. ), you may wish to face your friends and family, and stay where you are behind the candle for a minute or two, since they will be looking at you during that time. I always think it’s sweet when couples take this minute or two to chat or just stare at each other! 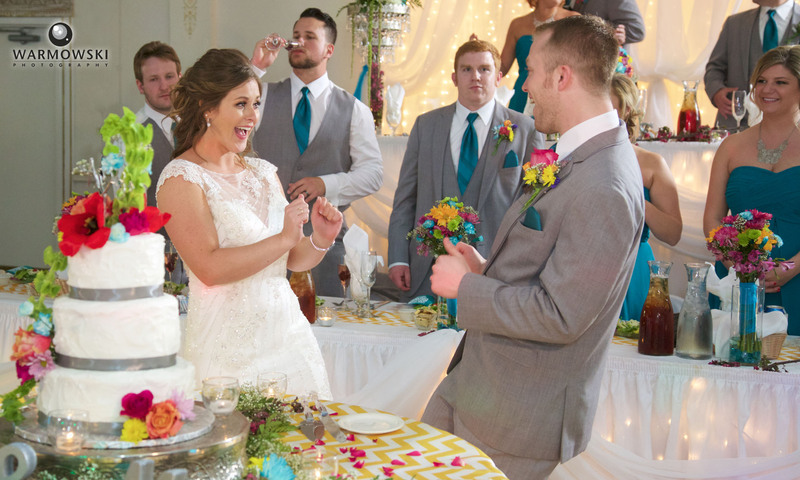 -just like everything on your wedding day (except maybe vows and signing the marriage certificate) whether or not to do a unity candle ceremony can be a decision, not just a given. One thing you might want to think about when making that decision is to research the tradition and history of lighting a unity candle and see if it’s something that fits your personalities and relationship. -of course, if location rules dictate, or you want to do something different, there are several alternatives to a traditional unity candle ceremony. But that’s for another blog entry. 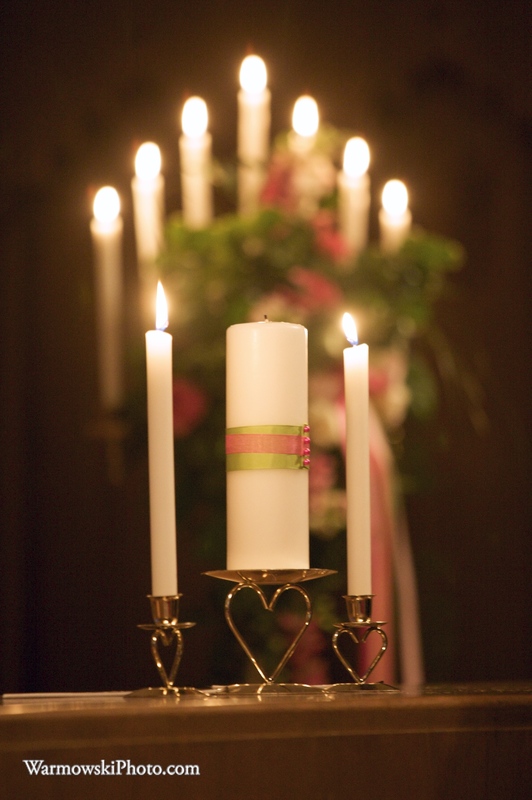 I loved the simplicity of the unity candle at Christine & Bob’s wedding (10 May 2008), as shown in the photo taken before the ceremony. The ribbon colors matched the color scheme Christine and Bob had chosen for the day. 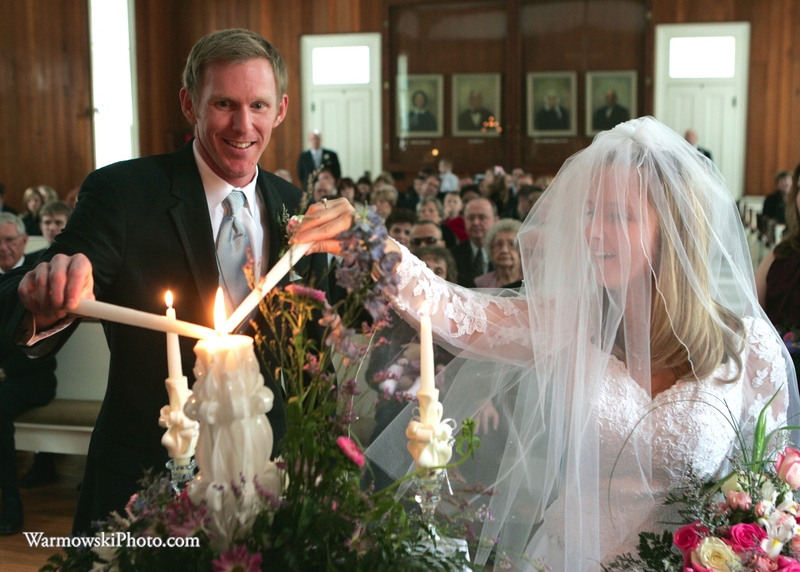 During the lighting of the unity candle during the ceremony, it seemed that Christine and Bob forgot the rest of the world existed as they whispered to each other and Christine planted a kiss on Bob’s cheek. Thanks for taking a look at the new blog of WarmowskiPhotography.com. I want to use this space as a resource of ideas for brides planning their weddings as well as to let former and current couples know what we’re up to! Enjoy!